Dr. Spangler's background is in both general and cosmetic dentistry. Dr. Spangler is continually striving to give his patients the highest quality dentistry through using the latest in dental technology and consistently attending continuing education courses. 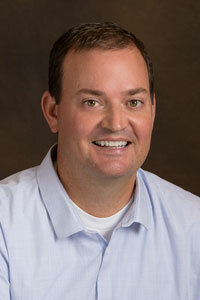 Dr. Spangler graduated in 2003 from Marquette University School of Dentistry in Milwaukee, Wisconsin. Upon completion of his formal education, Dr. Spangler and his family moved back to Salt Lake where he has been in practice since that time. He has a passion for dentistry, enjoys being able to talk and interact with people, and looks forward to the opportunity of serving you and your family with your dental needs. Dr. Tullis was born in Salt Lake City and raised primarily in Holladay where he attended Olympus High School. Following High School he received a Bachelor's Degree from Brigham Young University. During this time, he worked as an assistant to his father Dr. Roger Tullis where he developed a love for Dentistry. He went on to attend dental school at Case Western Reserve University School of Dental Medicine. Dr. Tullis and his wife, Tiffany, have 3 sons and 1 daughter. He loves to spend his free time with his family, playing sports and boating. He enjoys working with the great staff at South Pointe Dental and loves developing friendships and serving his patients. Shari started her career in the dental field as an assistant while she was still in High School. Even as a young girl, she knew that she wanted to become a hygienist, and accomplished her goal when she graduated from Salt Lake Community College in 2014 with her degree in dental hygiene. She has a passion for providing a great experience in the dental office no matter the age of the patient. In her time outside of the dental office, Shari enjoys camping and loves to spend time with her husband and their little French Bulldog. Stephanie began her career in dentistry in 2009, shortly after graduating from SLCC. She then graduated from the University of Utah with a degree in communications. Her love for hygiene has grown since traveling to China on a dental humanitarian trip, as well as volunteering her time downtown with the homeless. Stephanie has two little children. She loves to play volleyball, run, bake, and fly fish in her spare time. She loves the rapport she builds with her patients and genuinely wants to see patients happy with their smiles! She is excited to be a part of the team at South Pointe Dental and can’t want to meet you. Heather started out as a dental assistant in 2000 and graduated from dental hygiene school in 2008 from the Utah College of Dental Hygiene. She keeps current with the latest in dental technology by attending continuing education courses and networking with dental professionals from all over the states. Other than dentistry, Heather enjoys football (BYU and Denver Broncos), traveling, and spending time with her family. Heather lives in Riverton with her husband of 13 years, 3 sons, and their pug Fui.